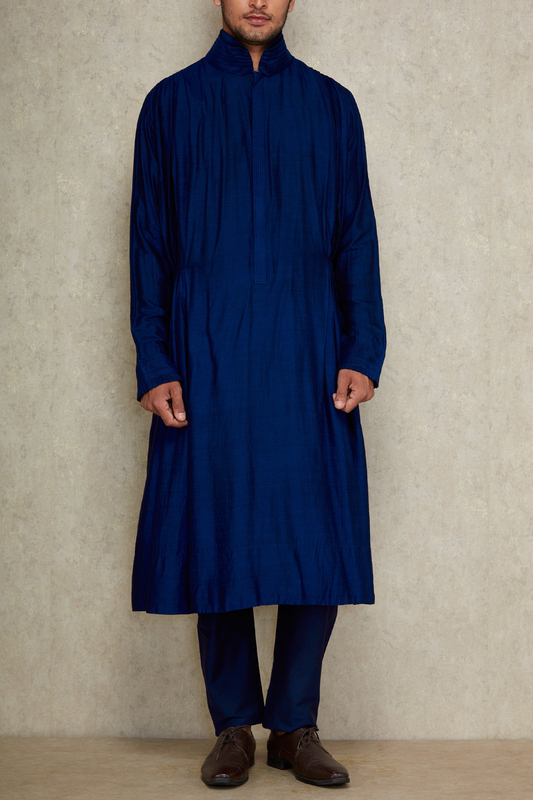 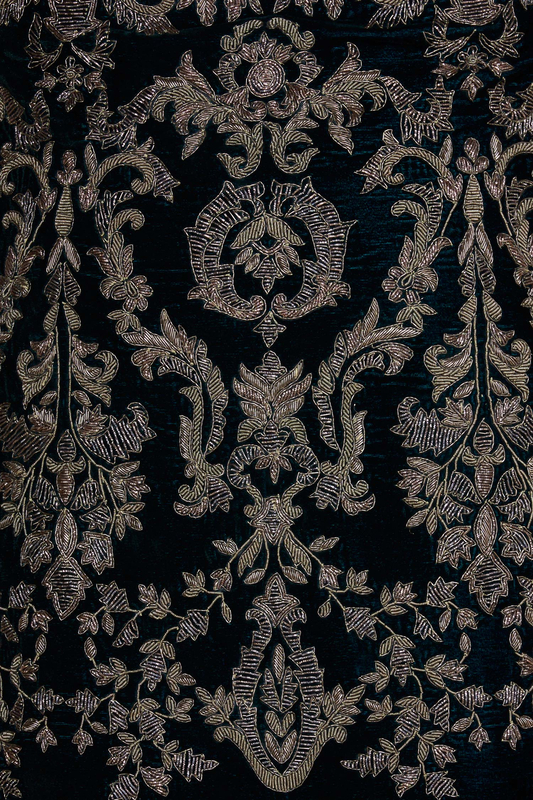 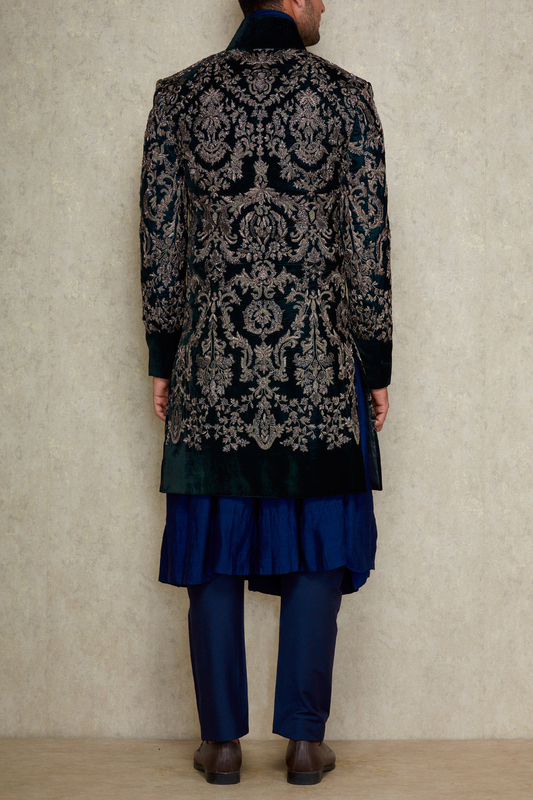 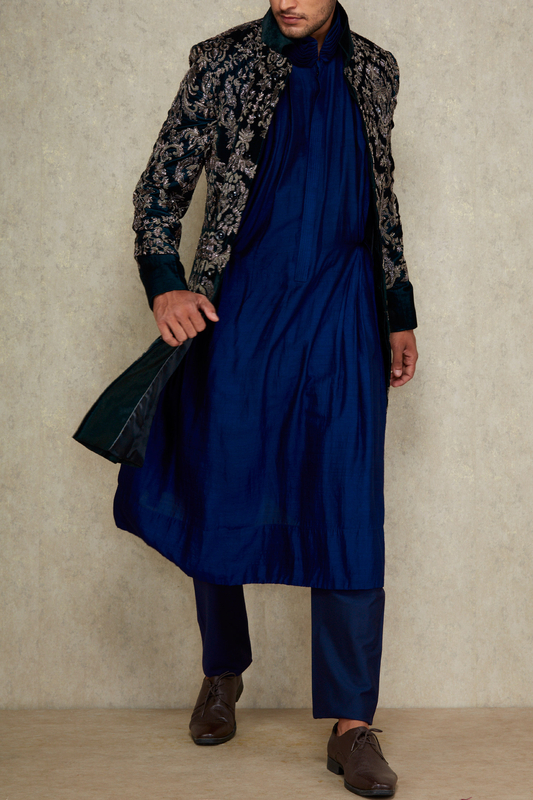 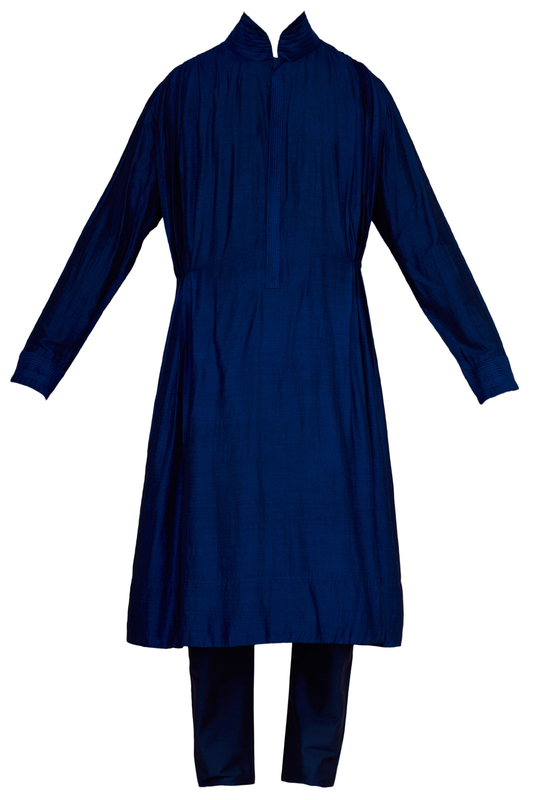 Manish Malhotra combines sophisticated artisanship, modernity, and prestige featuring teal velvet sherwani with silver embroidery layered on navy blue spun silk kurta paired with aligarhi bottoms. 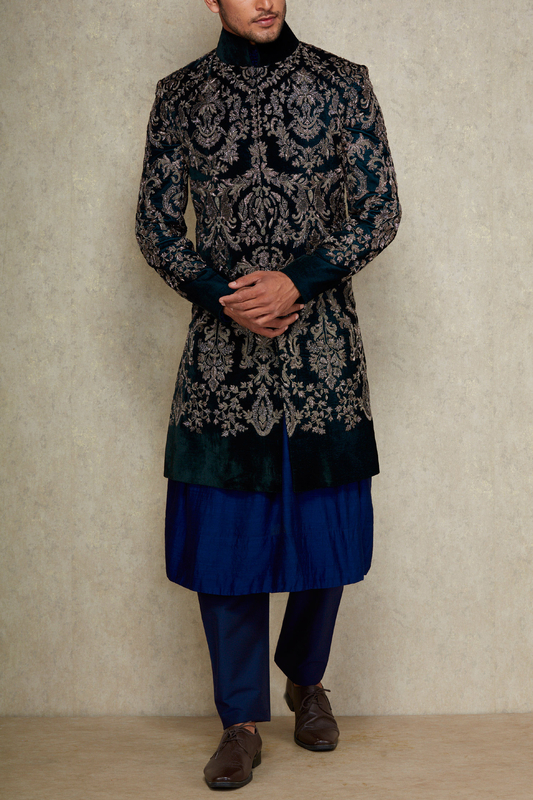 Complete your reception look with gold embroidered mojris. 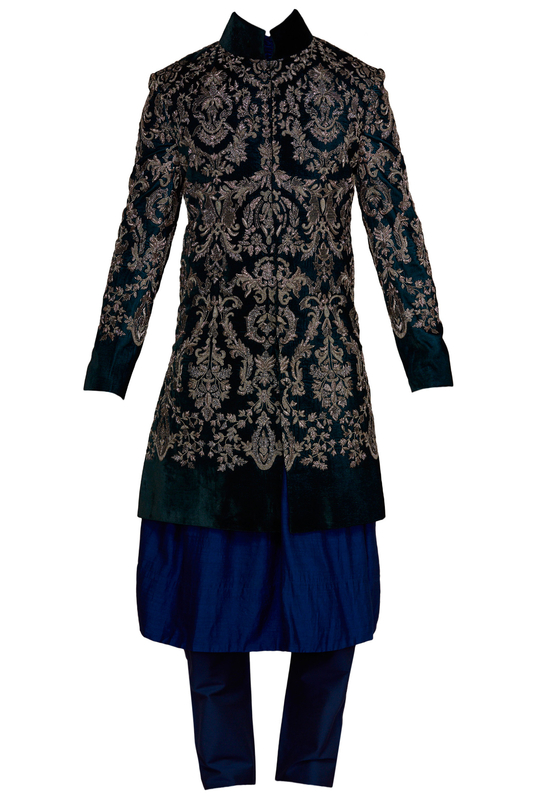 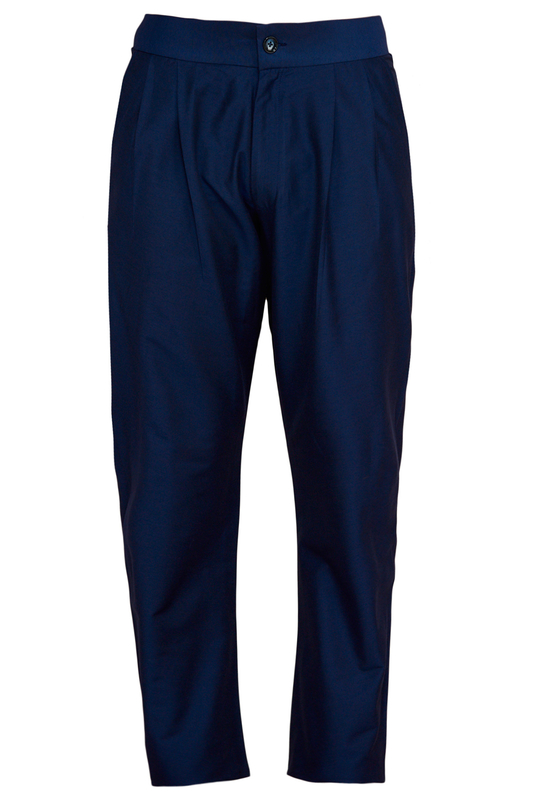 PRODUCT DETAILS: Front hook and button sherwani closure, Front button kurta closure, Pants with zipper and button fastening.